Last week, along with a dozen other journalists, we had a chance to visit the new New York headquarters of Patek Philippe. 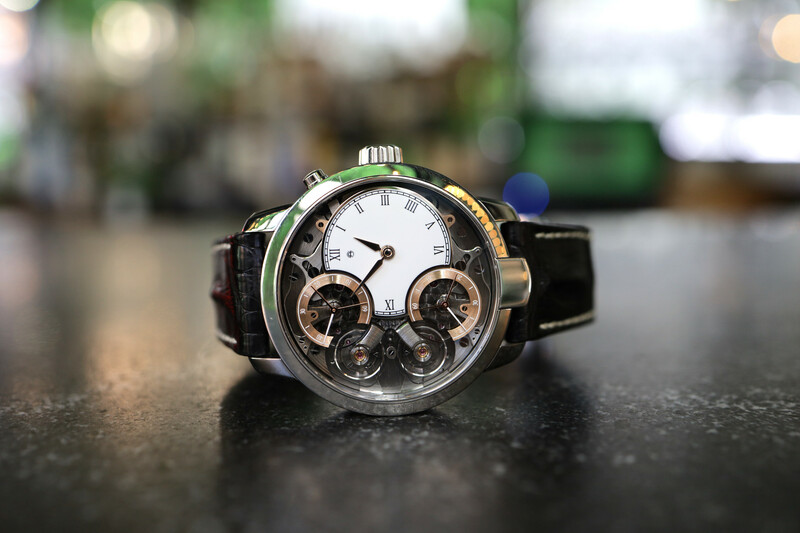 The purpose of our visit was to both see the new facilities and to take a watchmaking class from their master watchmaker. 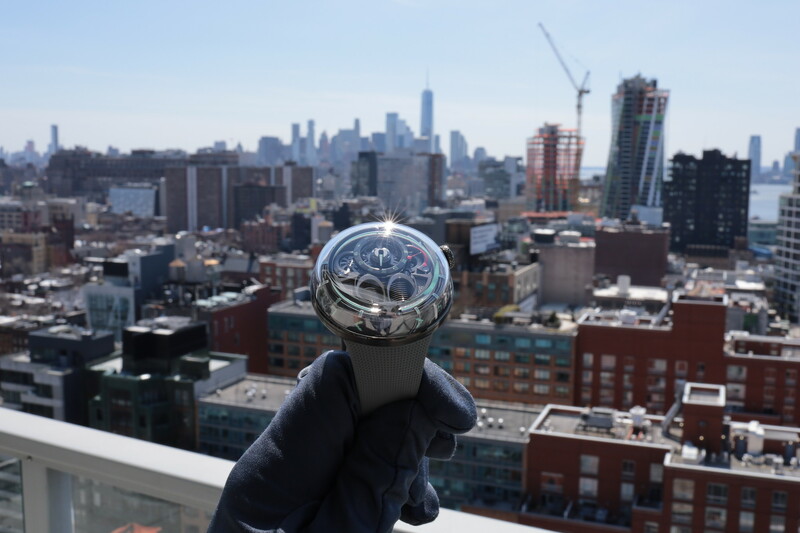 Located in the prestigious Rockefeller center in midtown Manhattan, the facility is unlike any other Swiss watchmaker’s US brand headquarters. 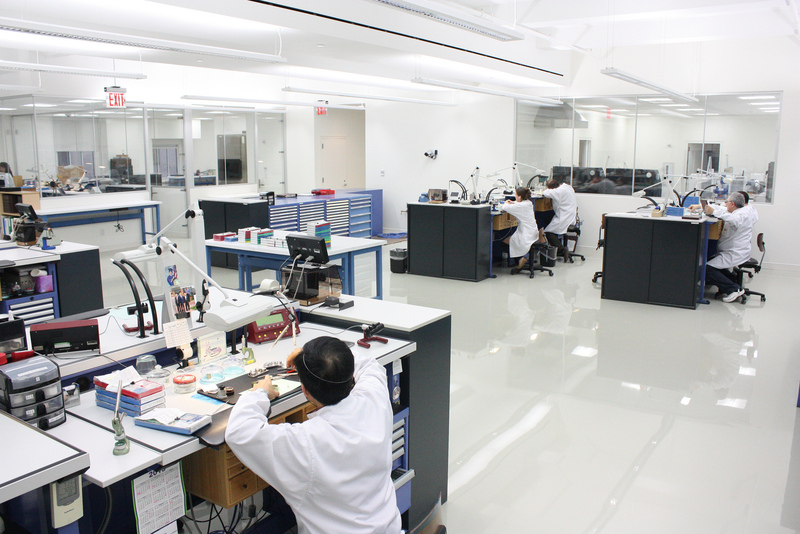 It combines the sales, management and marketing offices — with a state-of-the-art watchmaking repair facility. When you walk in through the glass doors, you are greeted in the beautiful main lobby, which is decorated with Brazilian beech wood and gold accents, along with supple cream leather seating. The decor is “just like in Switzerland,” said Jessica Kingsland, the Public Relations Manager at Patek Philippe USA. Once inside, you notice the tastefully designed modern interior which consists of a very open environment, with glass doors and walls in all the offices, offering a natural sunlight throughout every part of the space. Adjacent to the offices is the watchmaking facility which requires you to enter through locker room where you are required to put on a lab coat and shoe covers, as it is a specially controlled dust free environment. 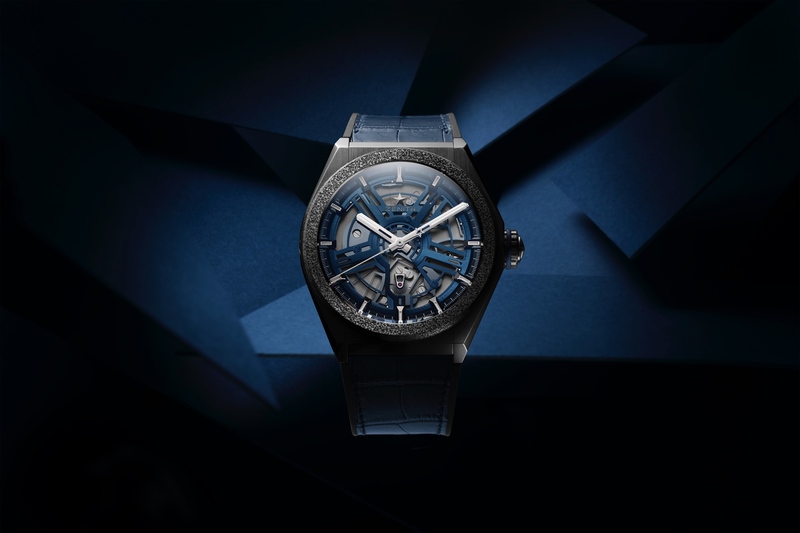 Inside, it looks and feels just like you are at a Swiss watch factory. And while the scene looking out the windows is not the same as in Switzerland, numerous large windows, just like in Switzerland, provide the much needed natural light that allows the watchmakers to work for long hours. Currently, Patek has 18 watchmakers, but the space is equipped to accommodate quite a few more as demand increases. At the beginning of our 4-hour visit, Larry Pettinelli, the US President, went over the history of Patek Philippe. Then the Director of Training and the Technical Director (Head Watchmaker), Laurent Junod, gave us a brief class on the basics of watches. Following this, we participated in three different workshops. First, we learned about the most important components of a timepiece, the regulating organ (which consists of the escapement, pallet, balance wheel, balance spring, stud, and collet). Second, we watched as a technician stamped Patek Philippe dials with the “Tiffany & Co.” logo, and then we were walked through the process and eventually had a chance to try it out ourselves. Needless to say, printing the logo on the dial by manually operating the stamping machine (which is like a miniaturized manual printing press) is no easy task. Lastly, with the assistance of Patek Philippe watchmakers, we disassembled and then reassembled a pocket watch movement. At the end of the visit, we came away with a better understanding of Patek Philippe and learned some new things about watchmaking along the way. This was the first time Patek Philippe has ever brought press in for watch training, but not the last. According to Pettinelli, going forward, they plan to do even more of these training events, including more advanced classes, as well.